If you are a business, community group or charity looking for a venue for a meeting or training event even holding a conference or AGM the Hall could be the perfect place for you. We have a newly furnished meeting room with conference tables and seating for up to 12 people. 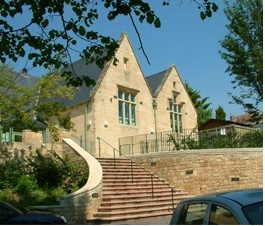 The Main Hall can be hired for large events with seating for 120 people. Prices start from £20 for a meeting room and £26 for the Main Hall for an hour. The Hall is equipped with WiFi, a projector and screen, flip charts and we can offer refreshments if needed. Wide ranging activities for all age groups. Groups and meetings, Larkhall Festival, fairs, sales and weekly Lunch Club. Superb purpose built space with seating for 130 and staging available for live music. A well-equipped kitchen. Adaptable space with three meetings rooms, two halls and a social area. To make a booking please call the hall office 01225 466606 (9am–3pm) or email via the Contact page. © 2019 New Oriel Hall – Bath All Rights Reserved.